Everyone, Everywhere, Everyday is an illustrated journey through inner city Dublin inspired by James Joyce’s Ulysses. 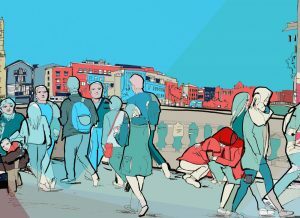 Artist Eva Kelly sets out to capture the energy and stream of life of contemporary Dublin by tracing part of the journey made by Leopold Bloom starting at The Oval pub on Abbey St. and concluding in College St. Applying the idea of the flaneur observing city life each scene was drawn and photographed from different perspectives. From this 12 illustrations were made showing exterior spaces, streets, people, interior view points from a cafe, bus window and various shops. The exhibition is on show at the Gallery at the Mill Theatre, Dundrum Town Centre until September 30. 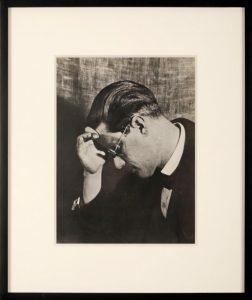 This 1922 photograph of James Joyce by Man Ray comes up at Whyte’s Eclectic Collector sale in Dublin on September 9. The framed photogravure print is estimated at 700-1,000. 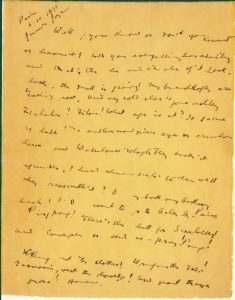 In other Joyce related material the auction includes a first signed American edition of Ulysses estimated at 1,500-2,000. 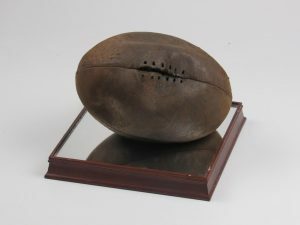 There is a wide range of collectibles on offer. 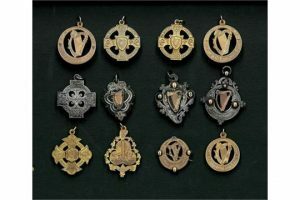 The sale features historical documents and artefacts, sporting memorabilia including The Fergus Reid Collection of Irish Football Programmes, medals and militaria, edged weapons and firearms, a range of gold and silver coinage and banknotes. 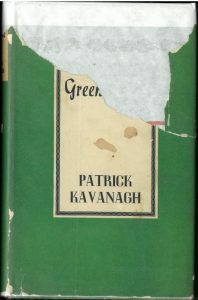 There are rare books including first editions by Oliver Goldsmith, James Joyce and Flann Ó Briain; early printed maps of Ireland and America; Polar Exploration books and collectibles, antique silverware, vertu and curios. Garryowen was far from your average red setter. 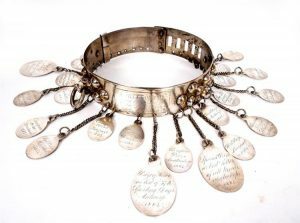 The champions collar of an animal who was mentioned in James Joyces’ Ulysses, accorded an obituary in the Chicago Tribune and whose portrait is in the collection of the National Gallery of Ireland, comes up at the eclectic collector sale at Whyte’s on Molesworth St. in Dublin on May 6. 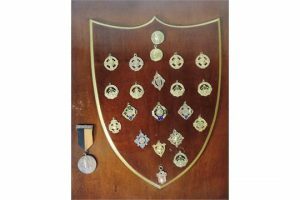 Suspended with engraved medals representing each of his 37 firsts the collar is estimated at 800-1,200. Owned by James Giltrap, Joyce’s uncle, Garryowen began winning shows in the 1880’s. When he won the Grand Prix de Honeur at the Belgian Kennel Club and Limerick tobacco manufacturers the Spillanes named a new tobacco product Garryowen as a “Setter of quality”. 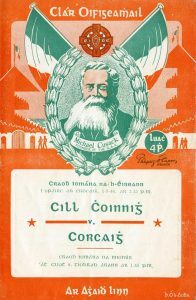 Wearing his champions collar Garryowen appeared on enamel signs throughout the country. 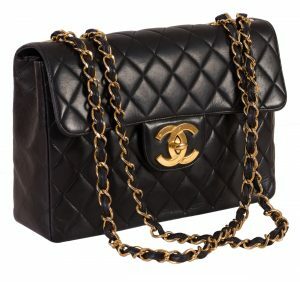 Three versions of the sign are in the sale with estimate of 150-400. 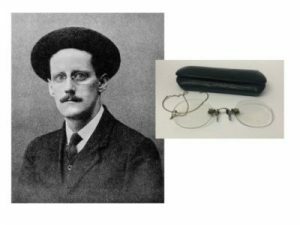 A first edition of an early critique by Samuel Beckett with and about James Joyce is available with London rare booksellers Peter Harrington. 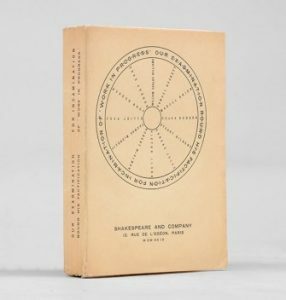 Published by Shakespeare and Company in 1929 “Our Exagmination Round his Factification for Incamination of Work in Progress” comes with letters of protest by G. V. L. Slingsby and Vladimir Dixon. This is copy 45 of 96 large numbered copies printed on Verge d’Arches. 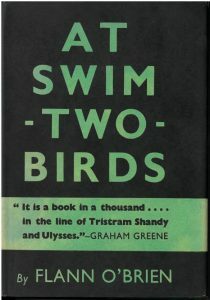 This early critique of Joyce’s final work was published some 10 years prior to the publication of Finnegan’s Wake. Part of the incentive to publish was apparently to raise funds for the perennially impecunious Joyce. 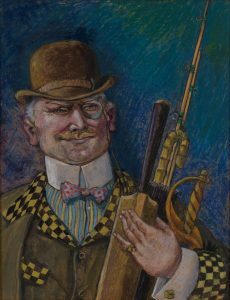 A myth surrounding this work is that one or both of the two letters of protest were written by Joyce himself. 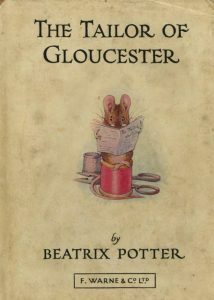 However both authors existed – indeed Beach herself commissioned Slingsby. 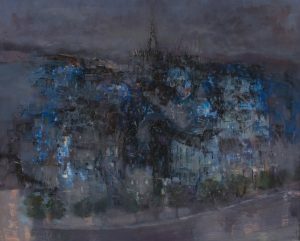 Dixon’s effort was an unsolicited one by a Russian émigré who was to die in Paris in 1929, just as the book was published. 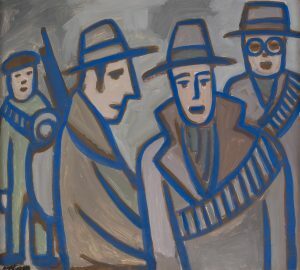 The critique is priced at £4,750 and is one of a number of plays, novels, essays and inscribed items spanning Beckett’s career now available at Peter Harrington on Dover St. in London.